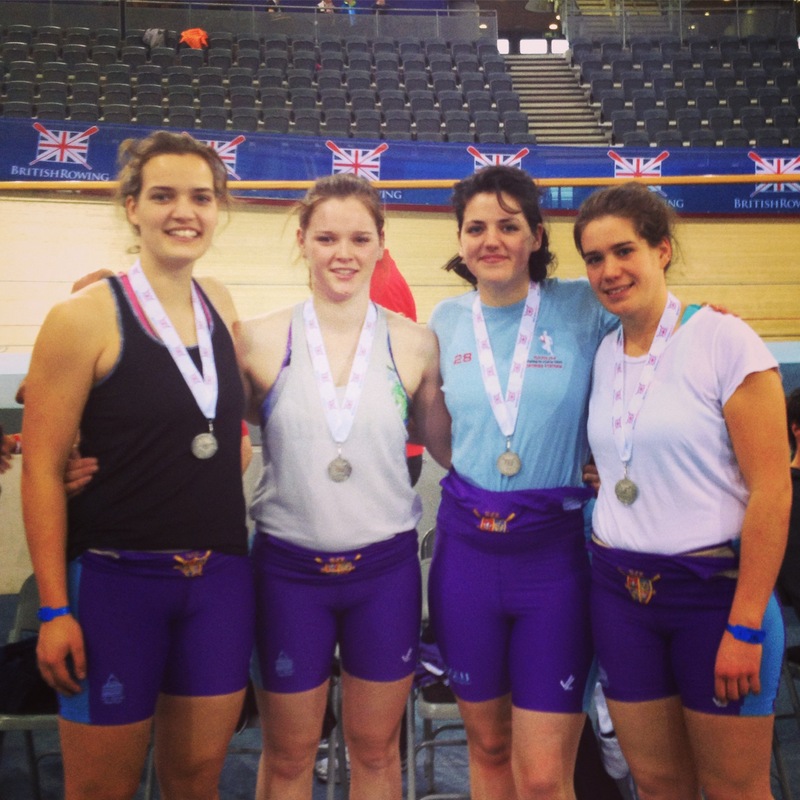 Last Sunday (8th February), four of UCLBC’s senior women (Claire Garnett, Issy Powell, Jess Rankine and Georgia Statham) headed to the velodrome in the Olympic Park to compete in the team relay at the inaugural British Rowing Indoor Championships. Needless to say, the whole day was pretty exciting. 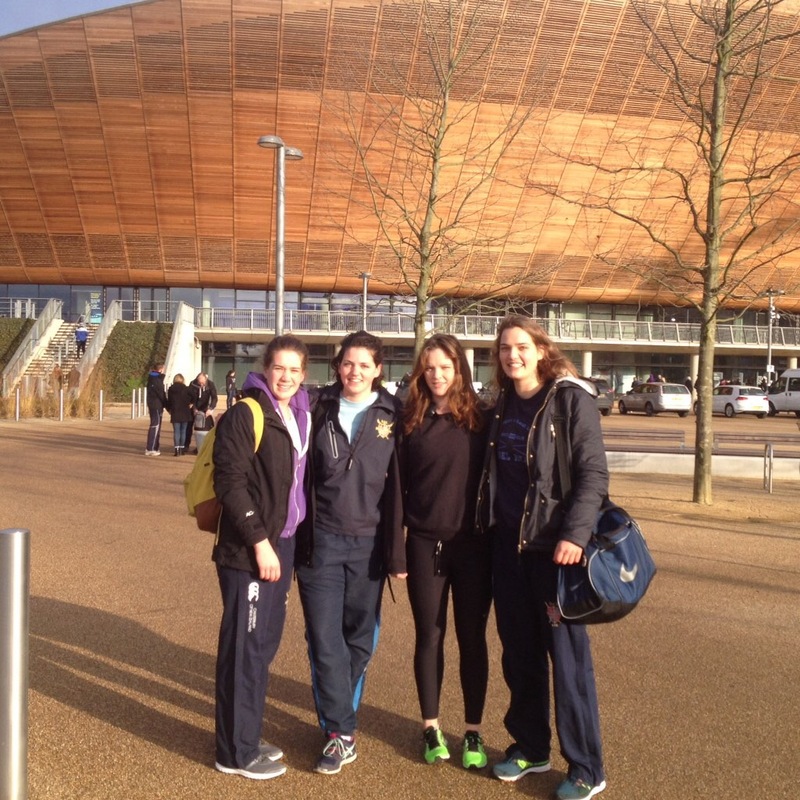 Not only was it the first time any of us had ever been inside the velodrome but there were also numerous “rowing celebrities” wandering around to be gawped at or just stared at in awe! 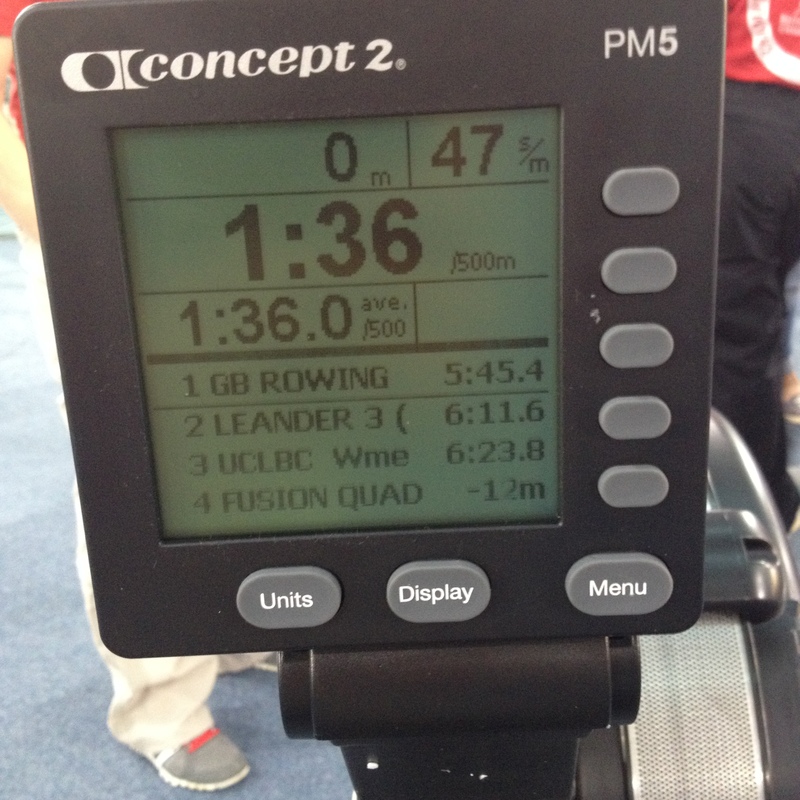 The team relay consisted of 3 rounds. The first round went very well, the change-overs were smooth and we came a comfortable second place, only losing to Leander, which none of us felt too bad about. We had a bit of a break before the next round so did some sight-seeing/browsing the shops and fuelled up for round 2 – brains or brawn. Sadly, round 2 was not our finest performance and our tactics let us down…. though we still came second! Unlike the first round, you could now change-over as many times as you wanted. We thought that the time involved in the change-overs would mean we’d cover the most ground by doing 1 minute 30 seconds each. Though as we warmed up, we saw the other teams doing it slightly differently….doubts crept in but not all of us had practiced change-overs so we stuck to our guns, however foolishly. New tactics were provided by a Leander coach and Debbie Flood putting us in great stead. Basically, all out sprint for 15-20 strokes then switch! 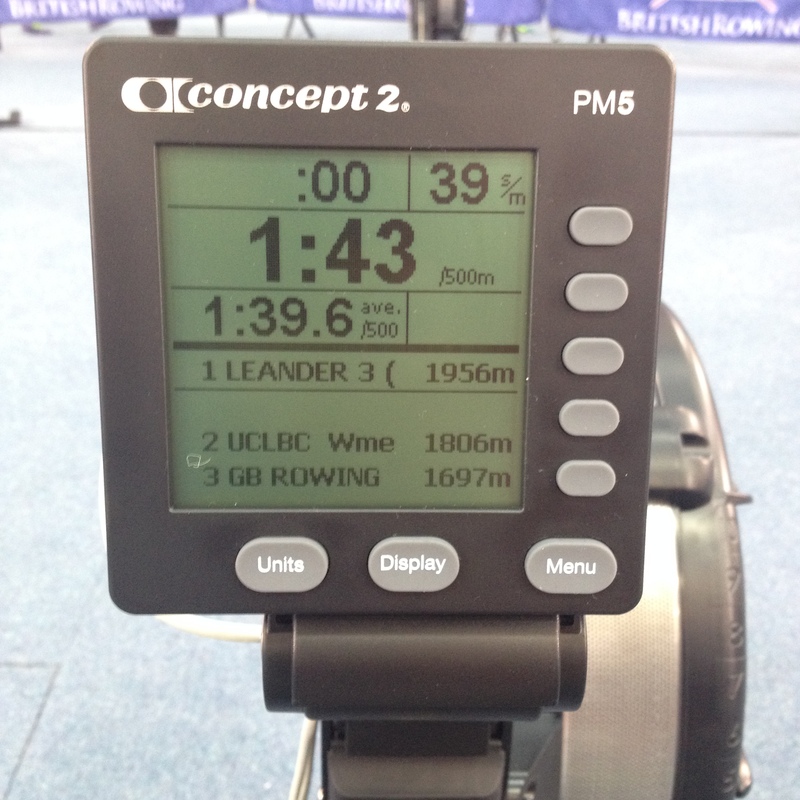 No need to fear about blowing in a 2k here, because as soon as you did, a trusty team member jumps in for the next hundred metres or so (if only all ergs could be like this!). 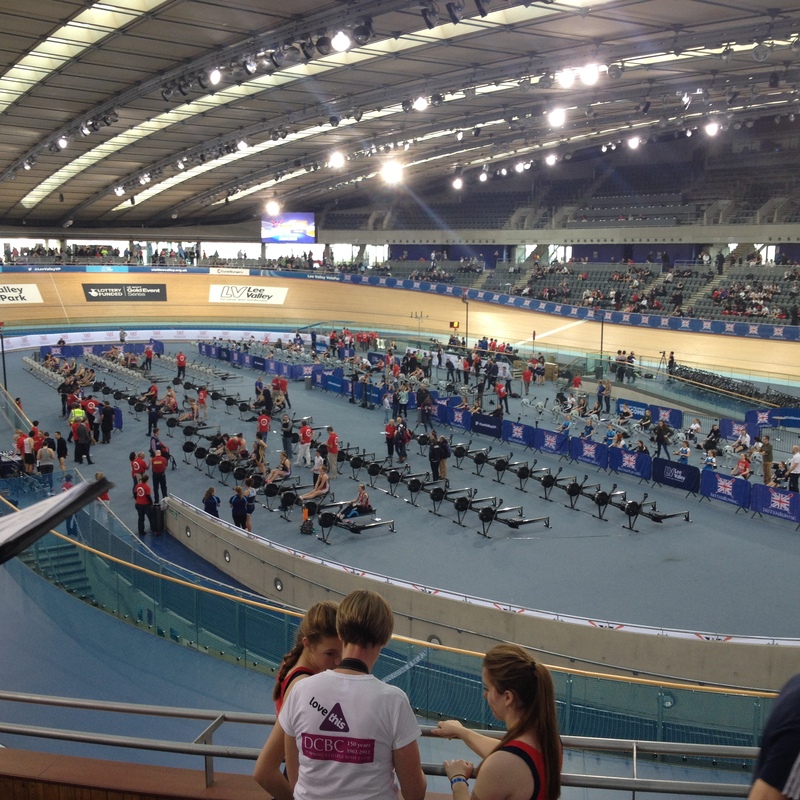 The grand final saw us up against Leander again, though also a mixed relay team from GB consisting of Katherine Grainger, Jessica Eddie, Richard Chambers and Jamie Kirkwood. Needless to say it was pretty cool to be lining up to race against these people. 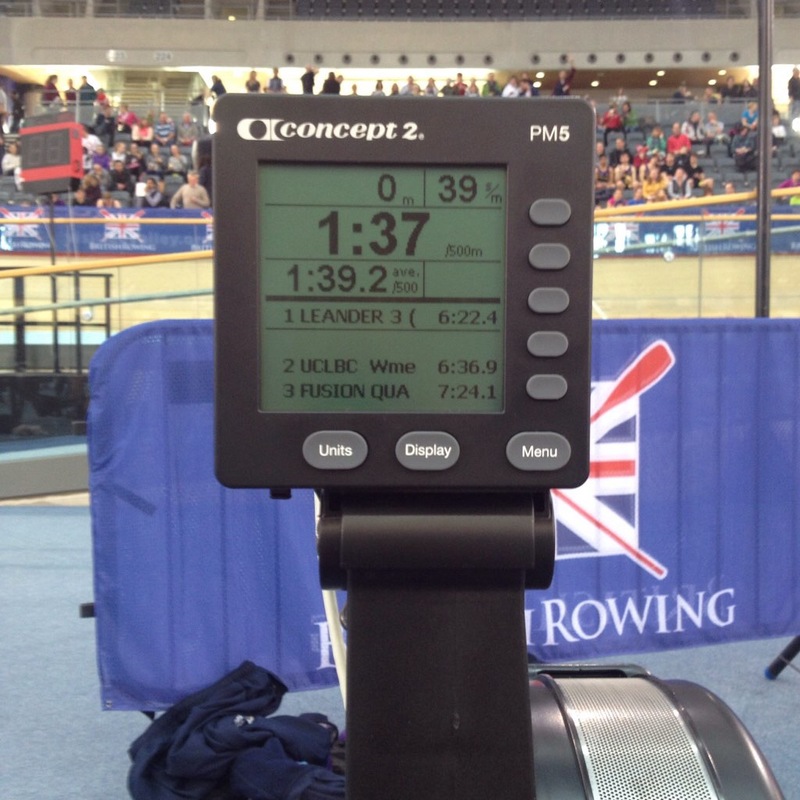 We were the third fastest team in the Grand Final though GB didn’t count as they had men (and we were in the all-female relay event), which meant we came away with SILVER MEDALS from the OLYMPIC park. At least that’s how we’ve been telling the story…. All in all, a great day out and a welcome change to our usual training and racing. 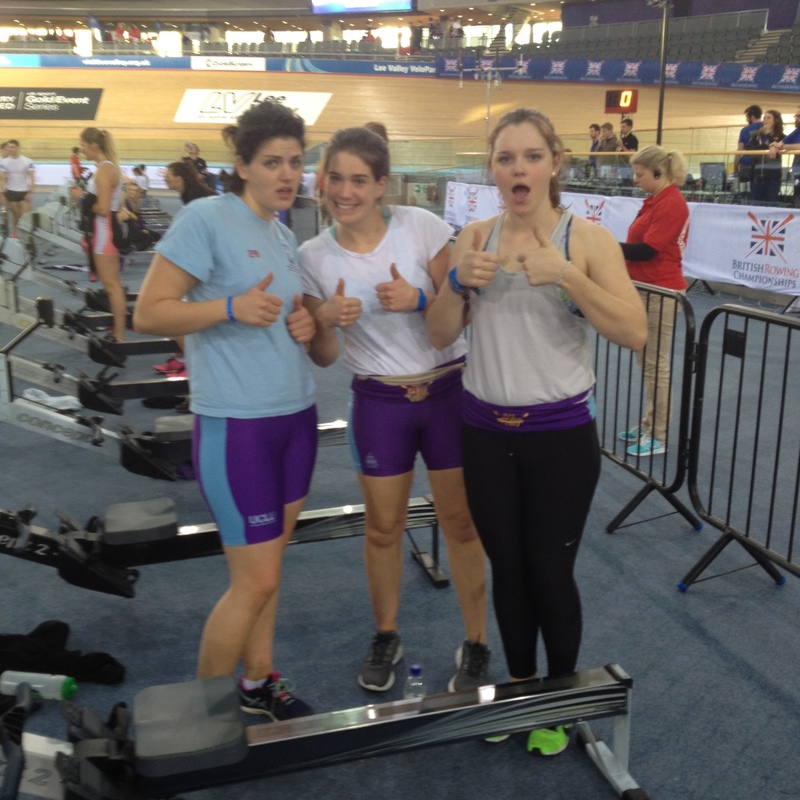 We’re already looking forward to next year, look out Leander, UCLBC is coming!